The cover is the stuff of teenage dreams and yearning of older men to return to their youth. Innocence and come-hither looks wrapped into one alluring package. If an album cover ever helped to sell mega amounts of copies, this was it. Herb Alpert and the Tijuana Brass, certainly benefited from the album design of A&M art director Peter Whorf, and model, Dolores Erickson, gracing the cover of Whipped Cream and Other Delights. The iconic album cover, which is best appreciated in its full 12″ x 12″ vinyl incarnation, can still be found for sale at many thrift shops, flea markets and garage sales for a couple of dollars. The album released in 1965, went to #1 on the Billboard pop music charts and ended up selling over six million copies over the years. This entry was posted in Music, Photography and tagged A&M Records, Album Covers, Alternate Album Cover, Dolores Erickson, Herb Alpert, Photo Outtakes on January 27, 2012 by B.P..
One of the best selling albums of all time is Carole King’s Tapestry from 1971. The appealing cover image of Carole King sitting in the living room of her home in Laurel Canyon, CA was taken by rock n’ roll photographer Jim McCrary. An interesting sidenote was that King’s cat Telemachus was moved while sitting on the pillow from across the room by McCrary to be used in the final cover shot. We identify famous covers and just accept that is the cover. The conclusion is “it’s the right cover!” In Tapestry’s case, McCrary’s use of the cat definitely helps draw the viewer in. What if a different cover had been used? March 2 is the premiere of PBS’s “American Masters” which features Carole King in Troubadors: Carole King / James Taylor & The Rise of the Singer-Songwriter. 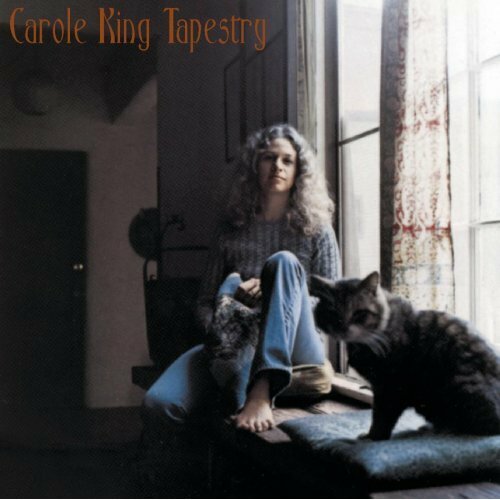 This entry was posted in Music, Photography, Television and tagged Album Covers, Alternate Album Cover, Carole King, Entertainment, Jim McCrary, PBS, Photo Outtakes, Tapestry, TV Shows on March 2, 2011 by B.P..